Battlefield 5 had many severe issues that caused the game to have much lower sales than expected. Is there any way to save the game? 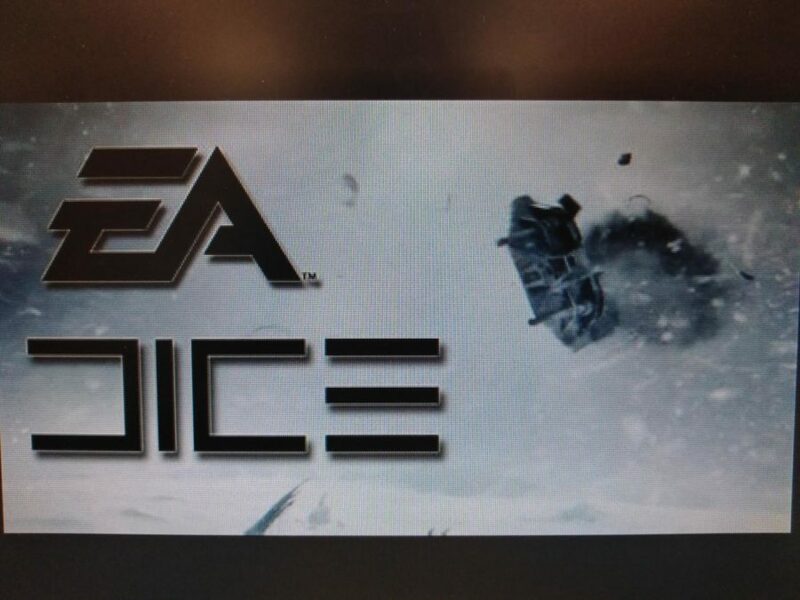 Dice and EA are facing a harsh backlash over the bad launch of Battlefield 5. With the recent release of Battlefield 5 in November of 2018, sales numbers are way lower than expected. What are the main causes of the low sales and is there any way Dice and EA who are the creators of the game can improve on Battlefield 5’s sales numbers? Battlefield 5 is a first-person shooter game set in the World War 2 Era. The player is put into intense multiplayer battles putting 32 players against 32 other players. There are many unique weapons of the era featured in this game. Battlefield 5 is available on Playstation 4, Xbox One and PC. 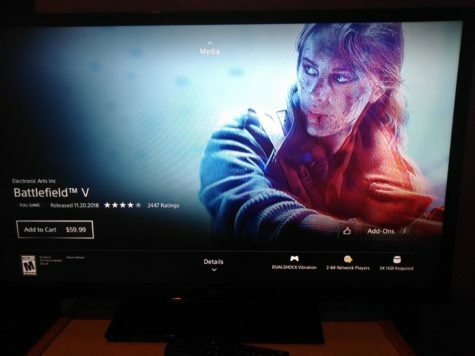 Battlefield V on the PlayStation store with a female character on the front page. Female representation is on every part of the game including the front page. 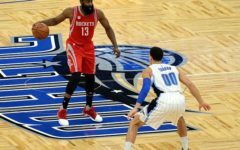 The game is also listed as full price as of January 16th. physical sales, which includes all copies of the game sold on discs, are down by more than half compared to the previous title Battlefield 1. This was a significant decline in sales for the title but considering Battlefield 5’s competition this holiday season it is no surprise. Battlefield was up against many games that left gamers a tough decision on what to buy. Rockstar games’ Red Dead Redemption 2 significantly outsold Battlefield 5. Other games that outsold Battlefield 5 were Call of Duty Black Ops 4, FIFA 19 and Marvel’s Spider-Man game. Possibly the only other video game that Battlefield 5 outsold was Fallout 76 which had the lowest sales in franchise history. 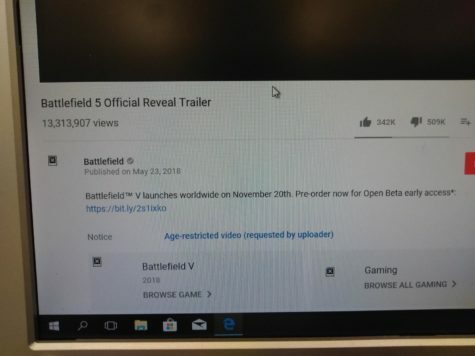 The Battlefield 5 Reveal trailer has far more dislikes than it has likes. One of the biggest issues that lead to the low sales was from comments pre-release by EA’s CCO Patrick Soderlund. Following a negative reaction to their initial trailer due to the an unrealistic approach they took towards the World War 2 era, fans of the series were very vocal about their opinions. Soderlund had a lot to say following this negative reaction to the trailer. Soderlund in an interview about the negative reaction said people who do not like the females in the World War 2 game “uneducated” and told fans to “accept it or don’t buy the game.” That was exactly what fans did; many fans of Battlefield did not buy the title due to the comments made by Patrick Soderlund. Fans were furious that the CCO talked to their customers like that. 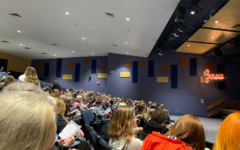 Following the comments Soderlund made, he ended up resigning from the position for unrelated reasons. The Beta released for this game was not perceived very well either. The many changes that Battlefield 5 made to the series gameplay wise didn’t sit well with the fans. 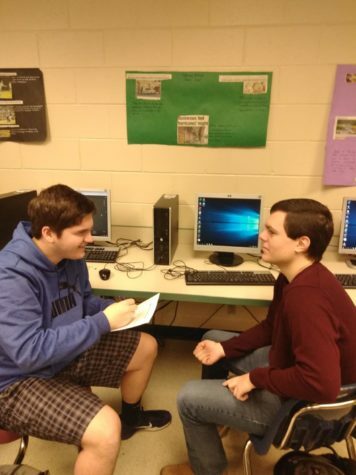 I asked Lafayette High School Senior Matt Zayas, his opinion on the beta. Matt said after playing the beta “I really felt that the new ideas they implemented into the game made it not very fun, I run out of ammunition and health so quickly that I feel I spend more time hunting for more supplies then playing the game and having fun.” Matt’s opinion is what was the general consensus of what the community felt about the beta. The new changes to ammunition and health felt like a detriment to players. The maps available to play also were not the best maps that Dice had to offer and it showed when people quickly got bored of the map. 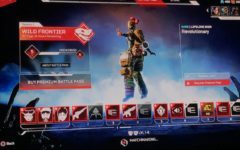 Lafayette Ledger Reporter Seungheon Yoo said “Battlefield 5 tried to make so many changes to the game that they ended up losing their identity and the game isn’t anything special anymore.” One positive of the Beta however was the building system, which is a little different from Fortnite, people felt was a balanced and welcomed change. The Beta gave a negative vibe to players before the game was even released. Another reason that sales were low was due to the lack of content available at the time of launch. There was only 8 maps available to play on and became repetitive very quickly. When reviews came out for the game they were not very good. The negative reviews were definitely a factor in the poor sales of the title. There were only a few game modes to offer at launch and much of the content wasn’t available right away. Unlike Call of Duty Black Ops 4 which had plenty of new game modes at launch, Battlefield decided to slowly release more content over its lifetime free of charge. The game’s most hyped up mode “Firestorm” is not even available to play until Spring of 2019. Battlefield 5 is not a dead game and can still make a comeback when Firestorm releases. 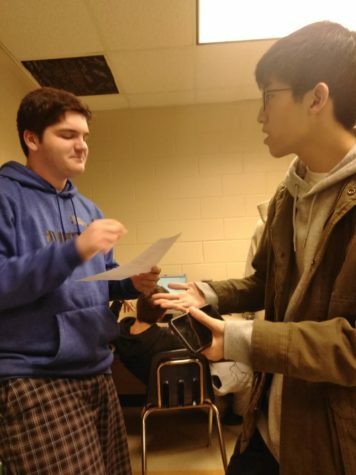 Editor for the Lafayette Ledger, and high school senior Aaron Adam said, “Battlefield 5 will not gain many new players with the release of Firestorm.” However, the opinion of the community is optimistic about Firestorm helping sales of the game. With the right patches and added content to the game in a year Battlefield 5 could be an amazing title that suddenly everyone is buying next year but for now it is unpopular.